September 1, 2008 September 30, 2009 laurakschroeder1 Comment on SPLASH! 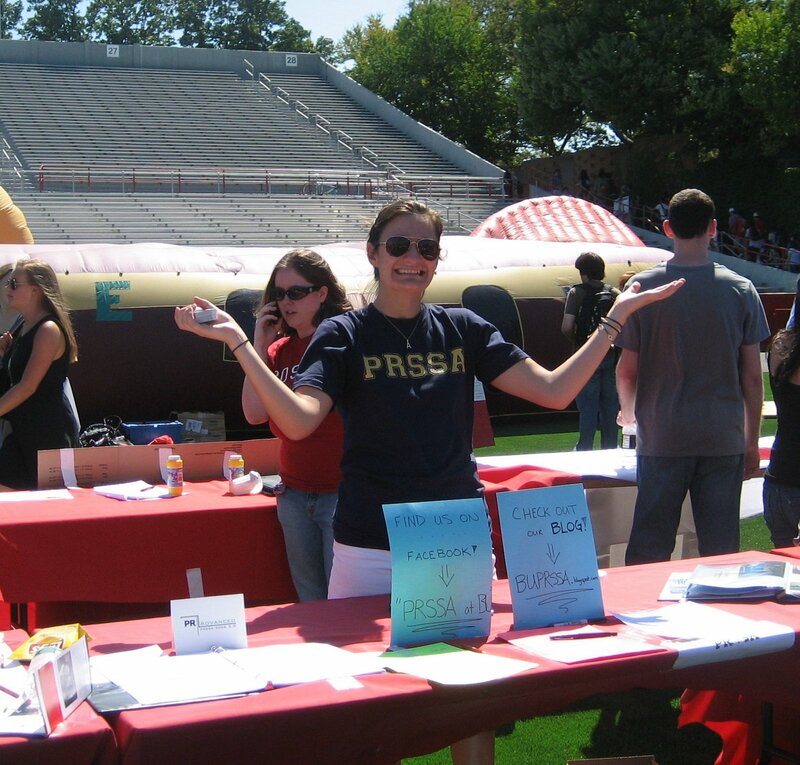 Alexandra (BUPRSSA President) pictured here at our SPLASH table. A successful day: dedicated e-board members gave out about 200 Z SQUARE FREE COFFEE CARDS and collected pages of potential member contact info! We’re all excited to get the ball rolling and hope to see/meet all of you PR enthusiasts soon! Alex, you look wonderful, as always! I’m so excited for this awesome year!